The director of Titanic and Avatar James Cameron, has pronounced a dull warning about the future of the Great Barrier Reef and said that the reef will die when things are not to change. Cameron, who spends most of his life outside of deepwater film production, told journalists in Sydney on Monday that reef bleaching, as at the Great Barrier Reef, is an "inevitable side effect of climate change." "The warming, even a few degrees, can cause the symbiotic algae to fade into coral and fade coral, and then it becomes an unhealthy reef system, and then it eventually fails," he said It will be inevitable if we do not correct the carbon that we release into the atmosphere. 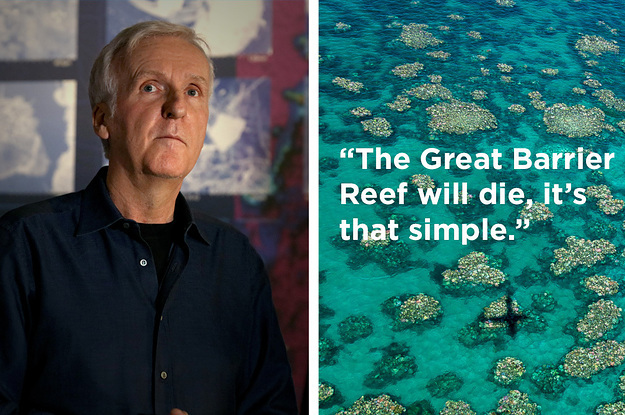 The Great Barrier Reef will die, it's as simple as that. " 6 was damaged and more bleaching occurred in early 2017. The report found that coral reefs in the tropics continue to be degraded The Next Century "Until Climate Change Stabilizes"
Cameron, who is in Australia, is planning a new exhibition Opening the challenging depth in the National Maritime Museum said that the deep sea's passion for humanity would be better focused on the ocean closer to the surface. "I believe these deeper ecosystems have millions It will survive millions of years, "he said." It's this thin skin of life near the top of the ocean which we now have to focus on. "We do not have to remember to save the ocean by going more into the ocean, but we have to think about saving the ocean, how we behave here in the country." Cameron said this To focus on how people grow and consume food and how they recycle, pointing to its 5,000 acre farms in New Zealand and Canada, trying to lead a greener life. He said that the ocean is already the garbage dump. "Between our consumption of The Ocean and our waste cycle into the ocean, we have pretty much condemned, if not eliminated, the ocean to a severely degraded state to the absolute downfall, if we do not acknowledge this and of course are correct. " The Australian Government provided nearly $ 450 million in funding aimed at protecting the Great Barrier Reef in the federal budget in May, but that became It raised the question of how the small foundation was awarded the tender without a tender.